US musician and singer-songwriter best known as rhythm guitarist for Alter Bridge and as vocalist for Slash's solo project. Kennedy cites Led Zeppelin as an influence and has collaborated with Jimmy Page. 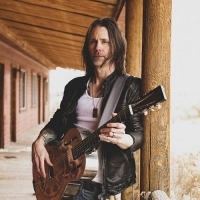 Releases include recordings with Alter Bridge, Cosmic Dust and The Mayfield Four, with his debut solo album, "Year of the Tiger" released in 2018.